Brassical is an ensemble founded in 2011 by young brass players. Their goal is to offer the audience a versatile and humorous performance, and to perform music which they truly enjoy playing. The program includes the ensemble’s own arrangements for the world-famous hit songs and it is full of virtuoso instrumental music, stage movement and even singing. Ida Elina is a singer-songwriter and a groundbreaking artist. 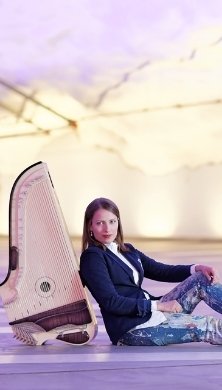 With her music Ida Elina boldly breaks boundaries and takes kantele playing on to a new level. Her unique style developed after seeing some virtuoso slap guitar playing on Youtube. In her concert Ida Elina combines archaic harp tradition with today's pop music. Her major influences include Michael Jackson, Aliacia Keys, Avicii, Pharrell Williams and Whitney Houston. The band's music glides lightly over the genre borders. Scandinavian jazz is spiced with Indian and Arabic music and Cuban rhythms. Also nature has been a source of inspiration. In the concert these influences are highlighted vividly by improvising soundscapes that suit the compositions. This hilarious music theatre performance shows what the Finnish national epic Kalevala is really all about, with music by Jukka Nykänen and lyrics by Jukka Itkonen. Intuition is an integral part of human thinking and one of the most important tools among creative professionals, scientists and inventors. Many composers and musicians describe intuitive experiences guiding their artistic work. This internal knowledge varies from small hunches and insights to complete download or feeling of immersion. Intuition is not just a random coincidence or emotion based on an arbitrary vibe. Intuitive skills can be enhanced and used as an intentional tool when tuning into new information. There are varying ways to intuit, all seeming to lead towards an experience of integrity. Asta Raami is a pioneer in the development of intuition whose background is a combination of an artist, scientist, practical troubleshooter and explorer. Asta's studies and career bring together a range of disciplines, although the center has always been one thing: creativity. How to feed your creativity? How to reach more innovative solutions in difficult situations? How to go beyond the limits of one’s thinking and come up with something that has never existed. With the Inkku Award Konserttikeskus wishes to highlight individuals, ensembles, working groups or organisations which have excelled in bringing live music to children and young people in an interactive, inspiring and educational way, wanting at the same time to honor Inkeri "Inkku" Simola-Isaksson's life's work. Surprise performance. 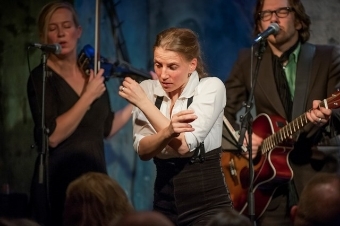 Of The World combines modern rhythm music and dance with the poems of Pentti Saarikoski. Roni Martin presents Saarikoski for the new generation with fresh elements. In his music Martin combines freely different genres, just like Saarikoski did in his poems back then. The work was premiered at the Helsinki Festival 2004. The Gothenburg Combo is one of the most exciting and hypnotic guitar acts touring the world today. Their combination of excellent showmanship, breathtaking technique, highly innovative way of using the guitars, varied programs, warm sense of humor and above all their deeply haunting and soulful musical performances make their concerts unique and quite different from anything else in the classical music world today. Three of Finland's foremost accordionists invite the listeners to an absorbing musical journey in different genres and styles. SCHOOL OF FINNISH ROCK BY JAUZA! Jauza! gives an energetic introduction to Suomirokki, Finnish rock, from different decades. The enchanting program is based on fairy tale by H.C. Andersen of a picky and snooty Princess and a Prince who is in love with her. The music consists of works by Bach, Charpentier, Lully, Vivaldi etc. Both performers are members of the Finnish Baroque Orchestra. Ashimba Trio’s concert is an enriching and instructive journey to African culture. Andrew Ashimba sings his own songs in Tanzania's main language Swahili but also in a variety of tribal languages, presenting a rich spectrum of different tribes and cultures. The texts of the songs tell of everyday life in Africa and encompass many down to earth and symbolic teachings which even suit the Finnish way of life. Tuuli Paasolainen’s presentation on music education for persons working with children claims that everyone has the ability to use music in their day-to-day work with children. In their concert Eija Ahvo and Soili Perkiö present new Moomin songs written by Perkiö to the texts by Hannele Huovi. The CD "Muumiperheen lauluretki" won Children’s Music Album of the Year 2014 in Finland. The actress and singer Eija Ahvo has a long career in promoting culture for children and she has been a UNICEF Goodwill Ambassador since 1986. Soili Perkiö is a lecturer in music education at the Sibelius Academy, a children's music composer and performer, as well as an education writer. She received the 2009 State Award for Children's Culture and in 2014 she was the first recipient of the Inkku-Award conferred by Konserttikeskus for her versatile merits in music education and bringing live music to children. 10.3. 9:00-10:30 & 11:30-13:00 & 15.15-16.15 - THE 13:15 WORKSHOP CANCELLED! Primitiv is one of the current leaders in beatbox new school. 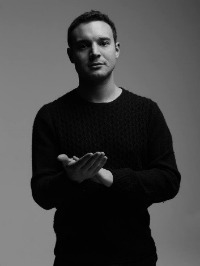 Belgian champion and vice world champion (online), he's worldwide recognized for his deep electro influence, which goes from house to dubstep, but also drum and bass, minimal, jazz and hip hop. Only with a microphone, his voice and his mouth generate unique and powerful atmospheres. Throughout this complete musical performance, he has imposed electro and dubstep sounds in beatboxing area. Dancefloors burner and real virtuoso in his field, Primitiv has made several international tours, in Europe (England, France, Germany, Holland etc.) and in Asia. Since 2008, he held many lives on stages such as Couleur Café Festival and Dour Festival, L'ancienne Belgique , La Cigale (Paris), The Papierfabrik (Cologne), The South Bank Centre (London), The Blue Frog (Bombay), The Butterfactory (Singapore),... Famous artists have also trusted him to perform with them (Snoop Dogg, Birdy Nam Nam, Beat Torrent, Wax Tailor, Asian Dub Foundation). The festival artists will also visit other schools around Kaarina during the showcase days. Please register for the festival by 8.2. We also provide transportation from the hotel to the venues in Kaarina and back. The Blackboard Music Project is an international development and exchange project aimed at increasing the quality and quantity of concerts for Young Audiences in Europe. The project is a cooperation between ten different partner organisations - all members of Jeunesses Musicales International (JMI) - represented in eight European countries. Levende Musik i Skolen (LMS) coordinates the project from their offices in Denmark. The project encompasses three YAM Sessions (young audiences music conferences that include a producers' forum, the YAMAwards, keynotes, talks, workshops and live showcases) as well as six national YAM Showcases that will take place in the different partner countries up until the end of 2016. The events will allow Young Audiences professionals to meet for the exchange of ideas and inspiration as well as productions. The aim is to strengthen the international network, to share expertise and knowledge and to promote the international exchange of concerts for children and youth. The Korvat kävelylle 2016 is the fifth national showcase in the project period meaning that an international delegation of project partners is visiting to experience Finnish Young Audience concerts as well as e.g. a visiting showcase from the Swedish project partner, Jeunesses Musicales Sweden.